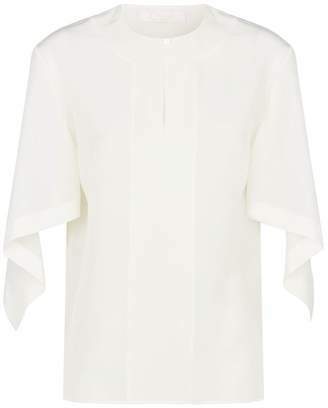 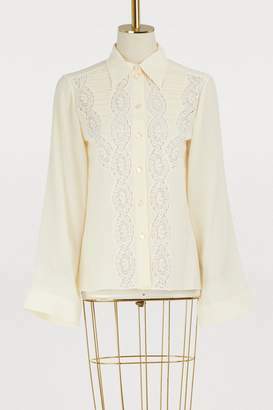 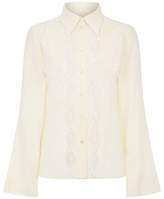 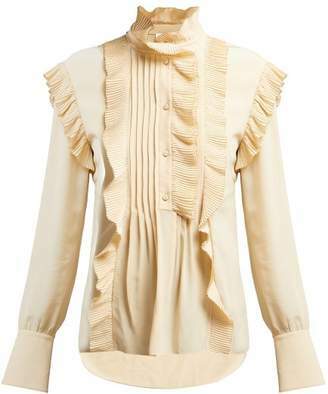 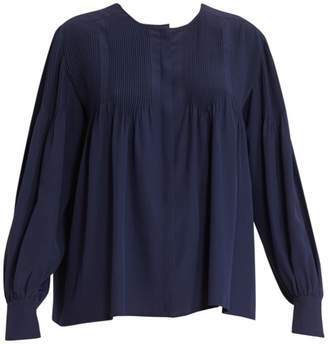 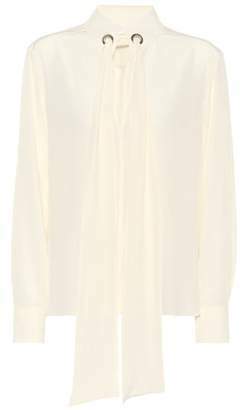 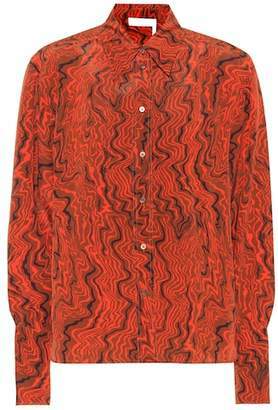 Overview Imbue your officewear edit with the retro, bohemian DNA that defines Parisian fashion house Chloé with this feather-light silk shirt, framed by a distinctly'70s-style point collar and wide sleeves. 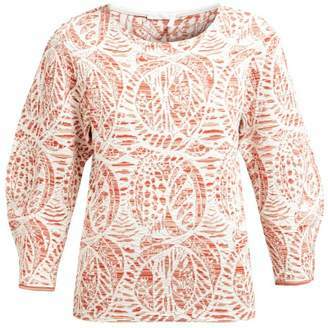 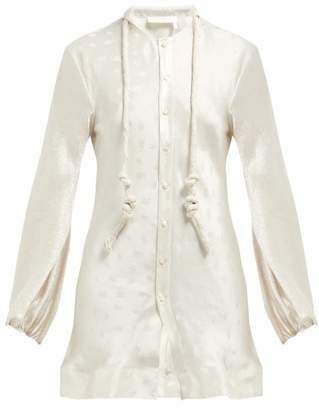 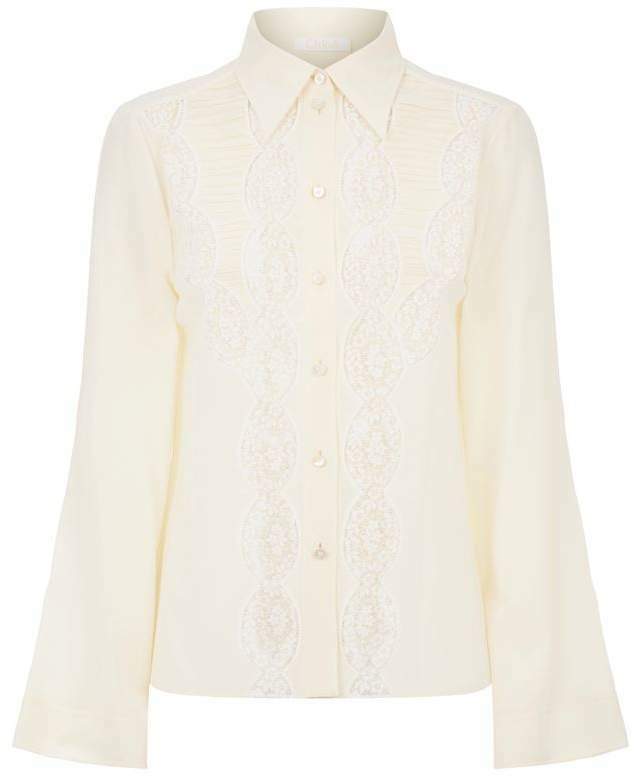 Delicate floral lace inserts frame the button placket, complemented by ruched detailing. 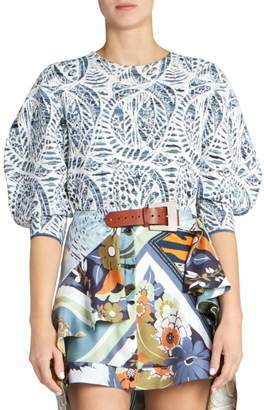 Play with proportions this season and style with a pair of paper bag-waist trousers.